This decision, taken by the Judicial Committee of the Privy Council in London, examines the constitutionality of Regulation No. 17 adopted by the Ontario Ministry of Education in 1913 with the aim of restricting the use of the French language in denominational schools. The regulation made it compulsory for teachers of certain denominational schools to understand English. The appellants challenge the validity of the regulation on the grounds that it was contrary to and in violation of the British North America Act of 1867. "Did the Ontario Minister of Education have the power to adopt Regulation No. 17? Which rights and privileges do denominational schools have under the British North America Act? Are these rights and privileges being violated by Regulation No. 17?" Their Lordships must decide if the Minister of Education had the power to adopt said regulation. They respond in the affirmative. According to the Privy Council, section 133 of the British North America Act, the only section protecting language rights at the time, did not apply to the education field. Their Lordships are of the opinion that denominational school’s right to independent management does not include the right to determine the language of instruction. They come to the conclusion that the regulation was validly adopted, as the power to legislate on the matter of education is invested in the provincial legislatures under section 93 of the British North America Act. This decision concerns the right of parents, as members of the linguistic majority, to have their children educated in a minority language school under section 23 of the Canadian Charter and the Education Act of Ontario. The appellant, Susan Abbey, is an Ontario mother of three, whose first language, and the language in which she received her primary school education, is English. The oldest child of the Abbey family is able to attend a French language school after being accepted by an admissions committee. After moving within the province to Essex County, the appellant requests that her children be permitted to attend the French language school operated by a local separate school board, as per section 23 of the Canadian Charter. That board accepts the request of the appellant subject to the Essex Public Board paying the tuition fees. However, the Essex Public Board refuses to pay these fees claiming the Abbey family does not qualify for section 23 Charter rights. At trial, the Divisional Court agrees with the Essex Public Board and concludes that section 23 of the Canadian Charter does not apply to the Abbey children. The appellant appeals that decision. Does section 23 of the Canadian Charter, which guarantees education in the language of the linguistic minority, only apply to members of the minority in question? The Court reverses the trial decision and maintains that the Education Act of Ontario, which allows Francophone school boards to accept children who are not from the linguistic minority through an admissions committee, opens the door to the application of section 23 of the Canadian Charter. According to the Court, a child accepted by an admissions committee, and all other children of the same family, can thus invoke the rights provided for in section 23 of the Charter. This decision addresses the protection of institutions that serve the linguistic minority in their language on the basis of the unwritten constitutional principle concerning the protection of minorities. This decision concerns the constitutionality of the directives given by the Health Services Restructuring Commission. Said directives, if implemented, would reduce Hôpital Montfort’s (a French-language hospital in the Region of Ottawa-Carleton) capacity to offer the totality of their services and medical training solely in French. "Does the Canadian Charter of Rights and Freedoms apply to the directives issued by the Commission in respect to Hôpital Monfort and, if so, do said directives violate section 15 of the Charter of Rights ? Should the directives be set aside in this case because they violate one of the fundamental organizing principles underlying the Canadian constitution, namely, the principle of protection of minorities ?" The Ontario Divisional Court thoroughly examines the history of the Franco-Ontarian community as well as Hôpital Montfort’s place within it. It stresses that, since the Hospital is designated as a government agency in the French Language Services Act, the Franco-Ontarian community’s language rights relating to the Hospital must be interpreted liberally. The Court determines that the Commission is subject to the Canadian Charter, but that section 15 cannot be invoked to supplement language rights, which are already protected under sections 16 to 22 and 23 of the Canadian Charter. However, the Court concludes that the Commission’s directives must be invalidated, because they negatively affect Hôpital Montfort. The Court qualifies Hôpital Montfort as an important institution for the Franco-Ontarian community of Ottawa-Carleton. The directives should have afforded greater importance to the unwritten constitutional principle of the protection of minorities, because it is “one of the fundamental organizing principles of the [Canadian] Constitution” which, as set out in the Quebec Secession Reference, gives rise to obligations. This decision analyses the applicability of the unwritten constitutional principle of the protection of minorities to Hôpital Montfort. In it’s analysis, the Ontario Court of Appeal also specifies the interpretation to be given to subsection 16(3) of the Canadian Charter and to section 5 of the French Language Services Act. After the declaration of invalidity made by the Ontario Divisional Court (see Lalonde v. Ontario (Commission de restructuration des services de santé́),  O.J. No. 4489 (Ont. Div. Ct.) (LN/QL)), the Ontario government tries to defend the constitutional validity of the directives given by the Health Services Restructuring Commission before the court of appeal of the province. "Is the Divisional Court’s decision erroneous ? Is Hôpital Montfort protected by subsection 16(3) of the Canadian Charter of Rights ? Do the directives given by the Commission comply with section 15 of the Canadian Charter of Rights ? Is Hôpital Montfort subject to the unwritten constitutional principle of the protection of minorities ? Do the directives violate the French Language Services Act ?" The tribunal confirms the previous decision. The Ontario Court of Appeal rules that sections 15 and 16(3) of the Canadian Charter of Rights do not protect Hôpital Montfort. 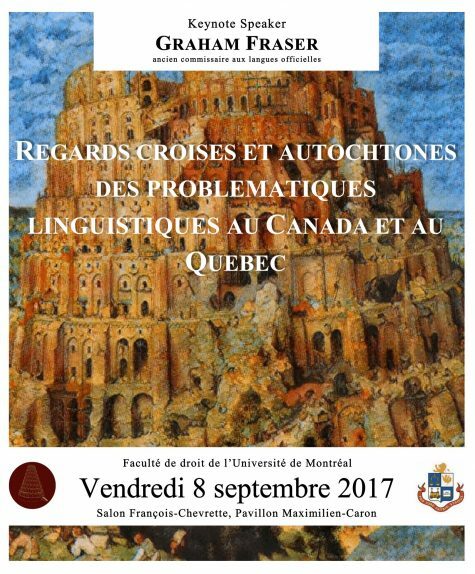 It agrees with the Divisional Court and concludes that section 15 of the Canadian Charter cannot expand the scope of language rights. As for section 16(3), it does not grant constitutional protection to language rights, but allows the adoption of measures that aim to advance the genuine equality of French and English. The Court confirms that the unwritten constitutional principle of the protection of minorities is part of the structure of the Canadian constitution and possesses normative force. The directives emanating from the Commission must therefore comply with it. With regard to the French Language Services Act, the tribunal finds that the directives, as written, would run counter to the objective and the goals of said act because they infringe on the Francophone minority’s right to receive services in a truly francophone environment. The directives are therefore invalidated, once again. This case addresses the capacity of a municipality to require bilingualism in commercial advertising located within the boundaries of the municipality’s jurisdiction. It also takes a detailed look at the impact that such a requirement has on the right to freedom of expression under the Charter of Rights. Howard Galagony and Serge Brisson, two merchants, seek to have by-law no. 49-2008, adopted by the Township of Rusell, declared inoperative. Said by-law requires that the content of any new exterior commercial signs be in French and English. The appellants argue that the municipality did not have the required jurisdiction to adopt said by-law and that the latter infringes upon their right to freedom of expression under subsection 2(b) of the Canadian Charter. "Is by-law 49-2008 ultra vires under the Township’s authority ? If not, is the by-law’s infringement on the freedom of expression unjustified ?" The Court opts for a liberal and generous interpretation of the Municipal Act, 2001, which the Township of Russell is subject to, and concludes that said Township may legislate in relation to language rights by virtue of its general municipal power to pass by-laws for matters preserving the social well-being of the municipality. The court also contends that although by-law no. 49-2008 infringes upon freedom of expression, said infringement is justified under section 1 of the Canadian Charter. This content has been updated on 27 August 2016 at 15 h 00 min.